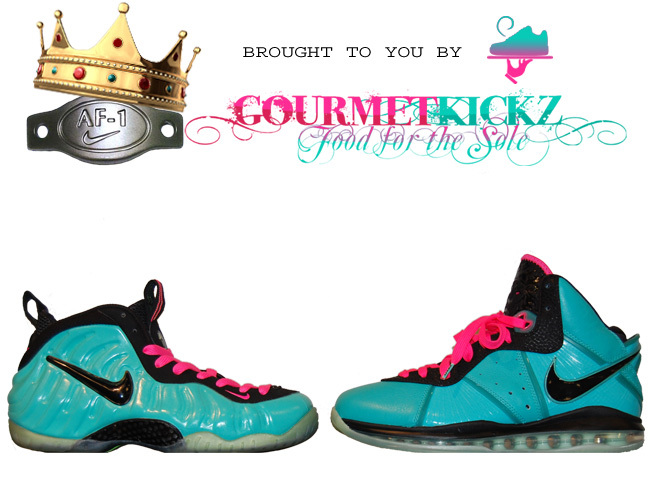 This new venture into different canvases has proven fruitful for “Chef” as orders are already pouring in for the above pictured Custom South Beach Foamposite. Chef only requires that you send him a pair of either the Slime Greens or Pearls to get the job started. At a fee of $200, you get back an expertly designed pair of exact color-matched foams. You can contract the job here and view more pics.